Airfare to Maui Hawaii: Money Saving Tips for Travel to Maui! 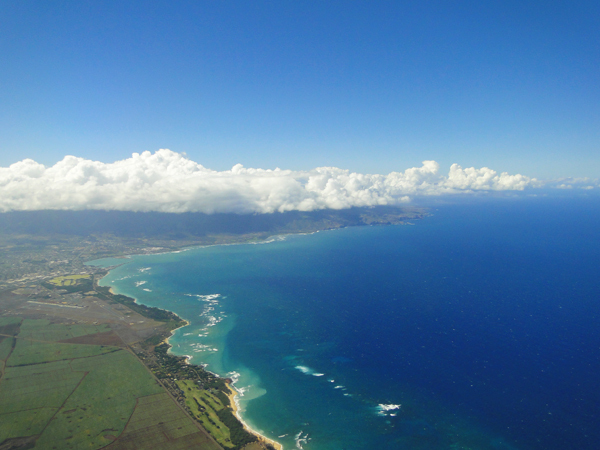 Saving money on airfare to Maui, Hawaii, is easy once you learn these simple tricks! You'll see that travel to Maui can be less expensive than you think! Have you ever been frustrated by other "save money on travel" tips that only apply to retirees and others who don't work a real job - you know, the ones that tell you to grab last minute sales and such? Most people with jobs can't just book off work on short notice, so last minute sales just aren't useful if that is your situation, right? So, without further ado, here are 5 of my best tips for saving money on travel to Maui, that anyone can use, even if you have to plan your trip far ahead of time, followed by 2 important things to watch out for! 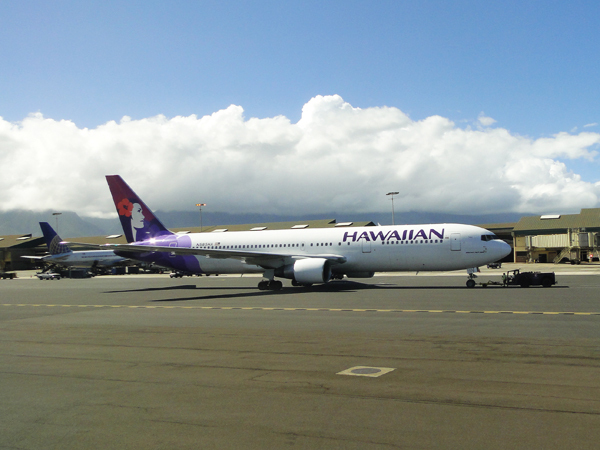 Check Hawaiian Airlines - they're always fun to fly with, and their prices are competitive if you're lucky enough to have them serve your area. (If not, keep them in mind for inter-island flights!) If you're going to Hawaii, who better to fly with than the airline of the same name, right? If I can't get a flight with Hawaiian Airlines, I like to use Expedia to book flights since most of the time their prices are cheaper than Priceline and other sites I've checked. Once in a while Priceline knocks it out of the park with one of their Express Deals though, so it's worth taking an extra minute to do search on their site. 2) Compare prices for flying at different times of day. You may save a significant amount of money if you're willing to fly when no-one else does: for example, how about an overnight flight? 3) Often, it is cheaper to fly Tuesdays, Wednesdays or Thursdays than it is on the remaining days of the week. Flying on weekends can cost more since that's when most people fly - more demand equals higher prices! 4) Try NOT to take your flight to Maui Hawaii over the Christmas season. This is an extremely popular time for many people to seek out the warm climate of Maui, and you may pay a huge premium to fly at this time. Over the Christmas season, I've seen airfare to Maui Hawaii that costs as much as DOUBLE the usual rate! 5) Be wary of those who advise you that flying on major holidays will save you money. I've heard this advice many times, but when I actually compared prices, I found that it actually costs MORE to fly on a holiday than it does to fly on a non-holiday. This may not be true of all areas, but do your price-checking homework to see how holidays affect airfare prices in your hometown. 1) Beware of hidden taxes and fees! Some ticket sellers are NOT upfront about the final cost of an airline ticket once you've taken into account all taxes and fees. Have you ever responded to one of those ads for a cheap flight to Maui, only to find out that the REAL price more than doubles once the fees and taxes are added on? Prevent this nasty surprise by asking upfront if the quoted price is the FINAL price including all extra charges. Get cheap airfare and vacations at Expedia.com! No hidden taxes! 2) Watch for automatic ad-ons, especially when booking on-line.Some sites will automatically ad on things like extra insurance that you may not want. Read all the fine print so you can opt out of these extra charges if you don't require these ad-ons. 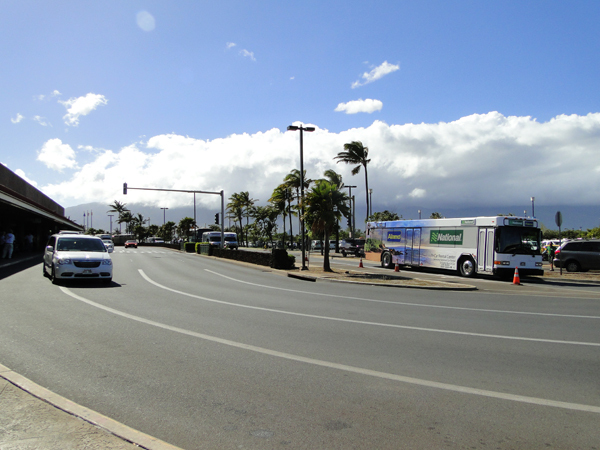 I hope you find these tips helpful in finding a great price for your airfare to Maui Hawaii! 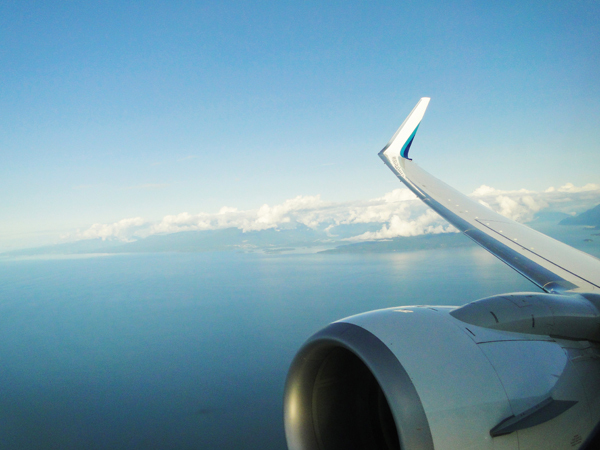 These tips won't apply to all departure cities equally, but they will give you a few strategies to use as you seek out the very best prices for your airplane tickets. You'll also be interested in reading what I found out getting extra cheap airfare to Maui... Is it possible for the average traveler like me (and you!) to get a really cheap ticket to Maui? Click here to find out!